In this helpful book, Boyung Lee offers an encouraging vision of the mainline church's future. Lee grapples with some of the greatest challenges facing the mainline church, offering compelling responses to recurring questions: What does faithfulness to the gospel look like in this changing world? What is our distinctive voice in the larger society? How does theological education have to change if it is to serve the needs of a new century? Lee argues that the church s future is a promising one if the church can offer a richer and deeper definition of community--one that moves beyond the excessive individualism of western culture and that helps mainline Christians understand their solidarity with one another and with all of God s people. 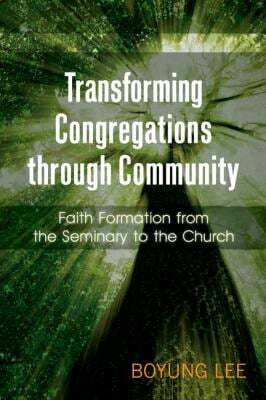 Lee further explores the crucial role of faith formation at the congregational and seminary levels. More than mere schooling, theological education must engage all aspects of educators' and students' lives to prepare seminarians for the challenges that lie ahead. While not dismissing the mainline church's challenges, Lee offers congregational leaders and seminary educators a vision of a church transformed for the 21st century."